All of the top 5 strengthened their shipment volumes, but Xiaomi an Oppo posted the most impressive figures. 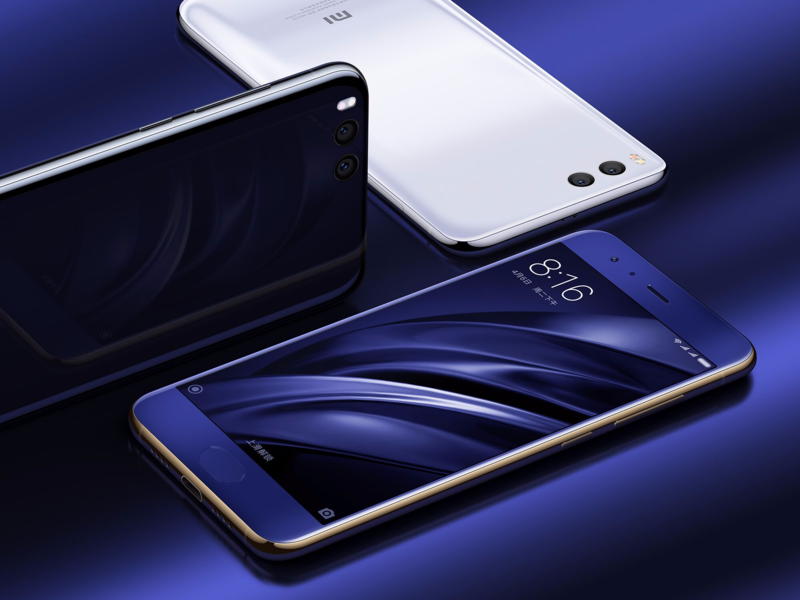 Xiaomi, on the back of strong sales in India where it has been successfully battling Lenovo and Micromax, had a 58% annual increase in units sold that propelled it back into the top five for the first time in a year – its total marketshare is up to 6.4%. 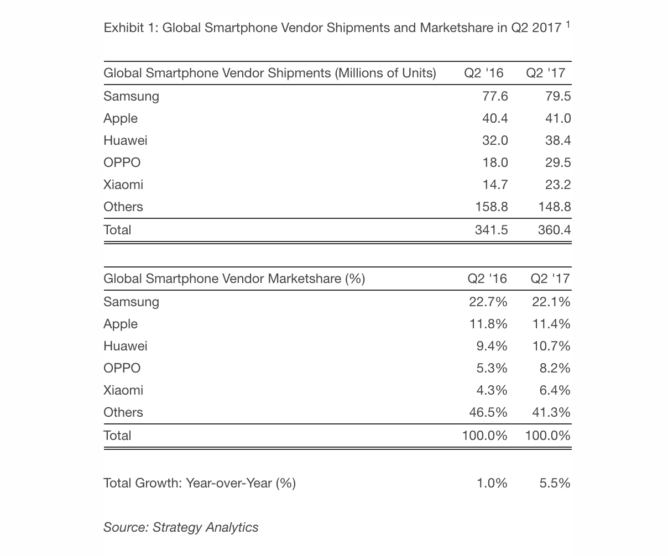 Oppo had an even bigger quarter, with a 64% rise in year-on-year shipments and a substantial increase in marketshare to 8.2%. In the battle for 2nd place, Huawei moved to within 0.7 percentage points of Apple. The Chinese company was at just 9.4% marketshare a year ago, but improved that to 10.7% with 38.4 million shipments in Q2 2017. Huawei can attribute its success to good performance in Asia, Europe, and Africa. That considerable progress is even more notable in contrast to Apple, whose sales volume rose by a just 1% and its marketshare actually dropped by 0.4%. The iPhone is becoming less and less fashionable in China, and the Cupertino company will be hoping that the much anticipated iPhone 8 can change its fortunes as it looks to stave off competition from Huawei and the other Android phone manufacturers. While it may have been expected to suffer greatly after the total recall of the combustible Galaxy Note7 series, Samsung bounced back with a 2% increase in shipments, up to 79.5 million units. It did lose 0.6% marketshare, but at 22.1% it's so far ahead of the pack that it shouldn't cause too much consternation in the ranks of the South Korean company. The imminent release of the Galaxy Note8, coupled with robust sales of the Galaxy S8/S8+, should see Samsung's recovery continue in earnest in the third quarter of 2017. Huawei is catching Apple iPhone in global smartphone shipments marketshare for Q2 2017.